You’ll feel right at home in our bright, airy hotel located just off the M23, near Crawley town centre, and perfectly positioned close to Gatwick Airport. Our modern hotel recently benefited from a £500K makeover. The spacious bedrooms have been wonderfully refreshed, allowing contemporary comfort for both business and leisure guests. You’re sure to get a great night’s sleep in our extra comfortable beds, with a choice of soft or firm pillows. Our bright spacious rooms are the perfect place for you to rest and relax. Our rooms all feature a practical work desk with free WiFi, tea and coffee making facilities, air conditioning and hairdryers, as well as an en-suite bathroom with our excellent power shower, to make your stay that bit more comfortable. 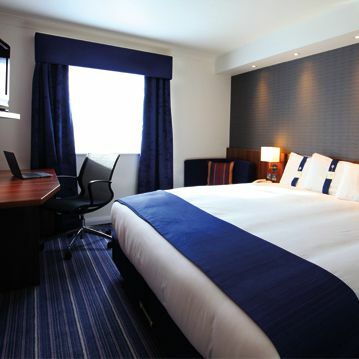 a popular choice for those looking for hotels near Gatwick Airport. 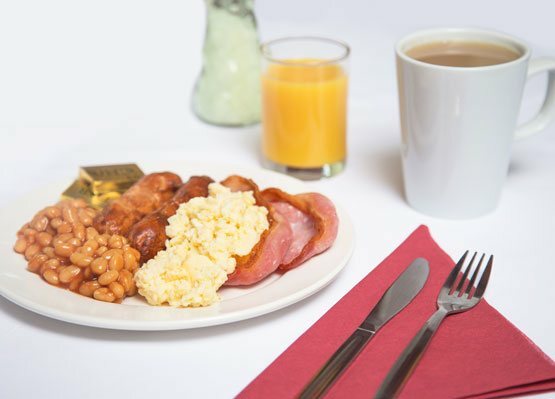 Begin your day the right way with a hearty Express Start Breakfast, included in all room rates. 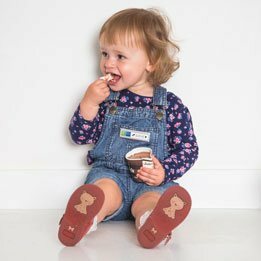 You’ll definitely be tempted by the delicious choices on offer, including sausages, scrambled eggs, croissants, cereals, yoghurts, fresh fruit & preserves, juices, tea, coffees and hot chocolate. The hotels onsite bar serves a range of alcoholic and non-alcoholic beverages, including many of your favourite brands and a few quirky options too. The lounge is the perfect place to unwind after a long day and thanks to 2 flat screen TVs showing the latest Sky Sports, you don’t have to miss a game. If you’re looking for an affordable hotel near Gatwick Airport, then look no further. 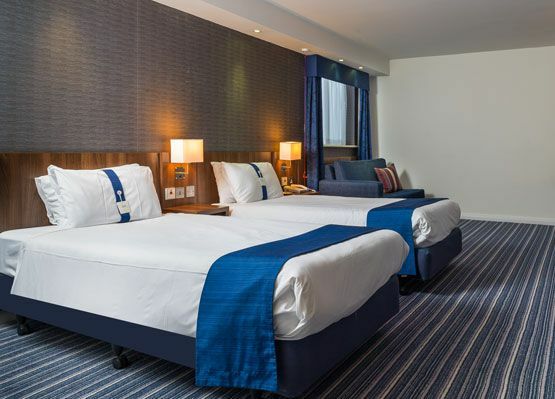 The Holiday Inn Express London Gatwick - Crawley offers great value for guests looking for hotels near to Gatwick Airport and is a popular choice for people looking for hotels near Brighton and the Sussex coast. We offer competitive rates and special discounts for direct booking as well as excellent value packages, providing you with a safe, secure parking spot for your car if you’re flying out from Gatwick Airport. 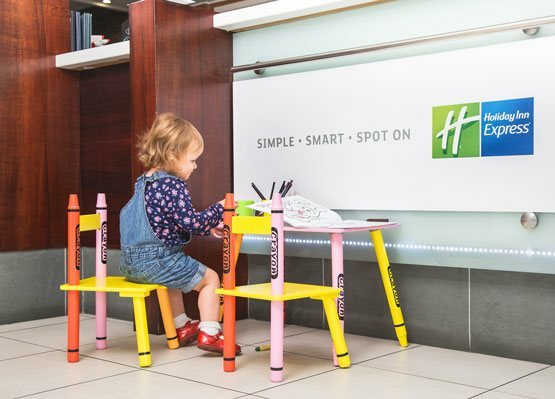 Designed for the smart traveller, Holiday Inn Express London Gatwick – Crawley offers clean and comfortable rooms. We have everything you need and nothing you don’t. Our rooms are contemporary and spacious, with comfortable beds and a choice of soft or firm pillow, ensuring you have a great night’s sleep. All rooms have an LCD flat screen TV with Freeview, complimentary tea & coffee making facilities, hairdryer, air conditioning and en-suite bathroom with power shower. All room rates include a delicious Express Start Breakfast, where you’ll find many of your hot favourites. 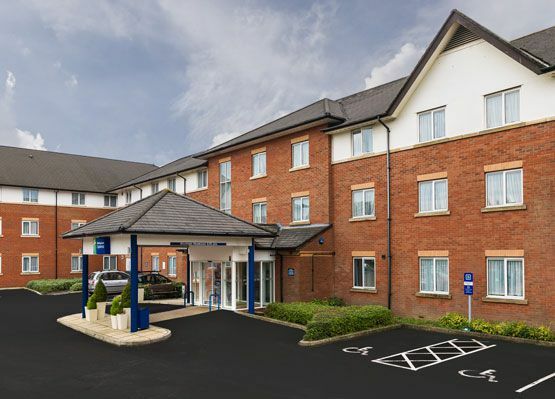 Holiday Inn Express London Gatwick – Crawley is ideally located just 3.7 miles from Gatwick Airport and less than 2 miles from Junction 10 of the M23 Motorway. If you’re driving, you can be at Gatwick Airport in under 15 minutes and the hotel is located on a public bus or train route from Gatwick Airport which will have you there in around 15 minutes. 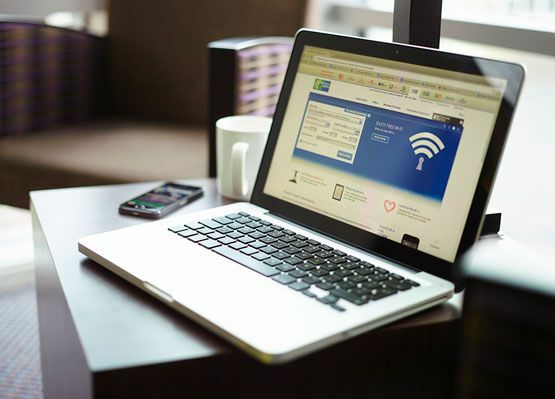 our modern facilities and free WiFi make us a great choice for any business traveller too. Kick back & relax in our spacious, comfortable rooms, designed to give you a great night’s sleep. 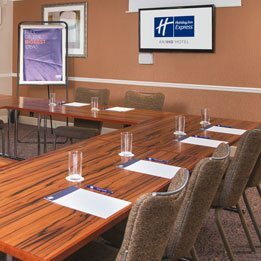 We provide a fresh, clean and uncomplicated conference and meeting venue for up to 25 delegates. We offer special discounts for direct booking & great Park, Stay & Go deals.